Well, I haven’t blogged for ages – sorry guys, too busy having fun and creating. Thought we’d best show you some of the fun we have been having with crochet. We started our Crochet workshops at Craft Haven in early November 2012 – it has been fun “getting our Granny on” (as some of our ladies call it). 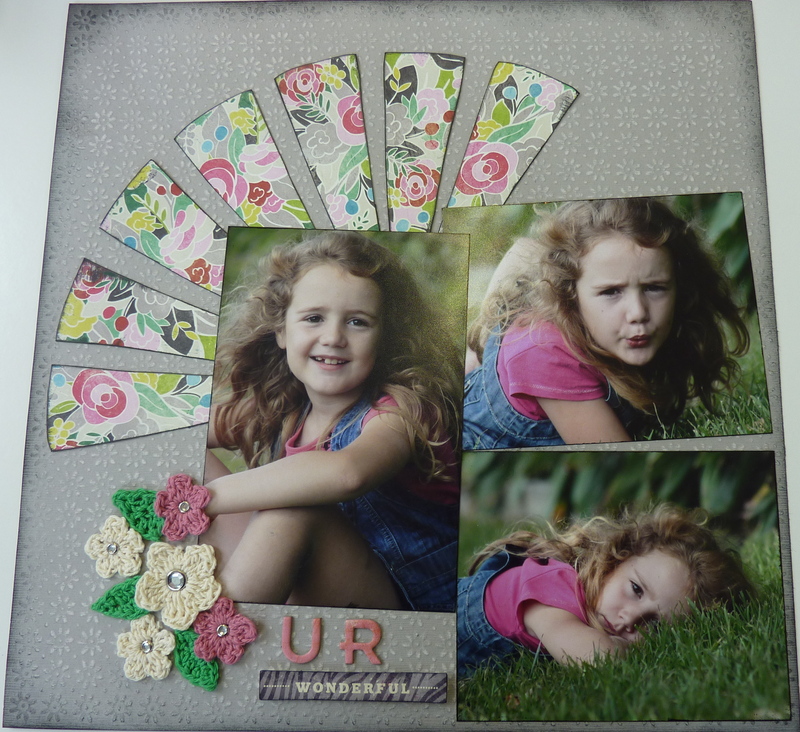 I couldn’t help myself and had to do a Scrapbook layout with some of my Crochet flowers. We’ve been working on heart bunting for the shop doorway too – but that’s not done yet (too distracted by other stuff). 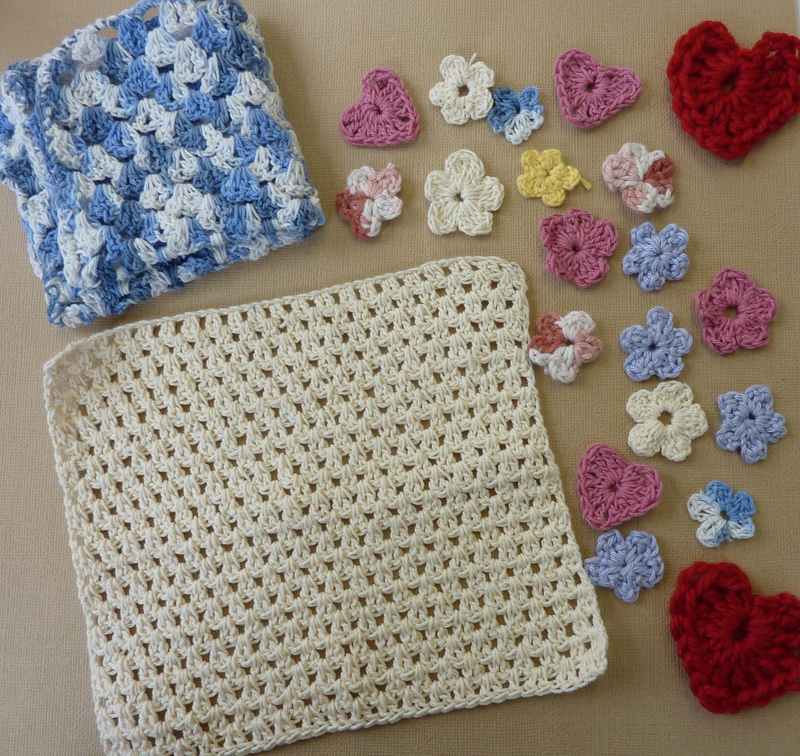 We love crocheting cotton dishcloths – they are fantastic for those of you who like things that are Eco-friendly, they are so easy to make, we made quite a few for Christmas presents. This LO uses some Two Scoops cardstock for the background – sanded and inked. The patterned paper is from the On Trend Collection by Crate Paper and the flowers are made by ME – cotton, pattern and hooks available at our store Craft Haven. I used A TCW template – Sunburst to make the ‘rays”, then inked around the edge.